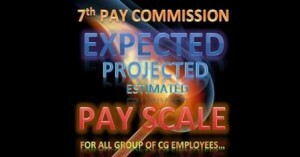 You are here: Home / 7th Central Pay Commission / 7th Pay Commission Recommendations has begun to emerge! The recommendations of the 7th Pay Commission have slowly started to make their way to the media in the form of unconfirmed news. The information that was being extensively discussed by all for more than a week now has finally made it to the websites yesterday. It has now been confirmed that the 7th Pay Commission will submit is report to the Government next month. With the report being given a final shape, certain pieces of information have already started to hit the media. Some of the workable recommendations of the commission are out. In 2006, a number of such unconfirmed reports surfaced, when the 6th Pay Commission report was being prepared, because the report was not submitted to the government on time. Due to the delay, there was tremendous curiosity to find out what the report contained. This led to a lot of rumors. Since the internet didn’t become that popular in those days, those rumors were hard to believe. Most of them were circulated by word of mouth. Now, despite the fact that there are plenty of news sources, since it has become possible to trace the point of origin of the information, such rumors have reduced. This time around, the information was given by the leaders of Federations. Yet, one can neither completely accept them as true, nor dismiss them as entirely false. Since the government and the major employees federations have their own websites, it has become possible for the information to spread to the corners of the world within minutes. Also, retracts and denials too have become equally fast, thus killing the rumours immediately. With a number of other individual websites and blogs too covering the news about Central Government employees, the readers are now able to differentiate between news and rumours. There is nothing surprising or shocking in the news reports that have now surfaced. A minimum basic pay of Rs.21,000 is an expected one. The recently released Kerala Pay Commission too has recommended the minimum wage at Rs.17,000 (from 01.01.2014 onwards). The National Council has demanded that it be Rs.26,000 per month. It is a well known fact that the Grade Pay System had been a source of constant irritation. The dual Hierarchy System (Promotional hierarchy and Grade Pay hierarchy) will come to an end. There will not be any more confusion about the promotions that come through MACP. 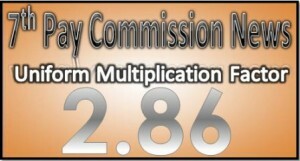 The Multiplication Factor of 2.86 does sound very low. NC JCM had pressurized the Pay Commission to fix it at 3.7. 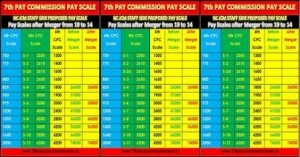 The 6th Pay Commission had fixed it at 1.86, and also given Grade Pay. 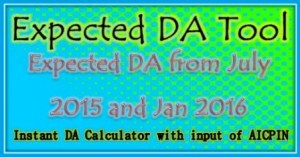 Since the DA now stands at 125% (including July 2015 and January 2016), this could end up being substantial. Information about retirement is unexpected. Unconfirmed reports claim that the 7th Pay Commission is planning to recommend 33 years in service or the age of 60 (whichever comes early) as the criteria for superannuation. Since the recommendations will be implemented from 01.01.2016 onwards, many are likely to get affected. There will be no running Pay band and Grade Pay System. The Pay scales will be open ended to avoid stagnation in the scales. The CCA will be separated into two components as it was in the 5th Pay Commission. CGEGIS Insurance Coverage and Monthly premium will be increased. Classification of Posts will be Modified and the 7th Pay Commission recommendation will be implemented with effects from 1.1.2016. Promotion Rank should be given to the government police and force jawans by the seniority basis.. Yes, completely agree. Retiring at the age of 33 years of service will, in my humble opinion, be total waste of human resource – both in terms of capability and experience that that workforce can bring and impart to their younger peers. You are right. No one get settle in this age group as in today culture everyone is getting married late. 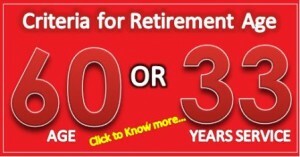 So govt has to consider 60 retirement age not service. We are belongs from paramilitary force now declared capf.We are ex-serviceman of capf. We are watching TV and hearing the news that One portion of the Defence retired accepted the PM recommendations and the other is continuing strugle for their benefits.. When the paramilitary forces retired Border-sectrifires will get to express their girevances to the Honble PM as well as with Country ‘s Supreem Court-Public of Nation as the system suggested that only the OROP is given to Ex defence forces and not to Paramilitary forces. Vote your views. We are ready to scrifies. To live in such circumstances, which degrade the honour of Forces those are fighting shoulder to shoulder.This mathodology deffinately defete the moral of Forces presently working in Naxtal areas as well as on LAC/LOC.. In previous Govt till the date , later or sooner Forces are getting all benefits some how not at par but extent to similier. THe OROP degraded shamefully. In 24 to 25 lakhs retired personnel of Defence there are little percentage those are leaving the defence after 15 years otherwise as per their service chart people served from 15 years to 38 years are all not the age of 45 years and they retired after 52 yr of age is majority. This should be examined from available data Forcesw are retired after 57 years age now earlier 55years respectively. We are happy that Big brother are getting their dues from nation but the younger brother who served for 24×7 =365 days on hardship and those are serving at about 9 lakhs and retireted about 3 lakhs be provide due share by the Govt as applicable. Respected Sir, 7th pay commission is recommending retirement age after total service 33 years or 60 years age which is earlier. This recommendation implement for new appointment after implementation of 7th CPC, not for who are already in service. Because in this age nobody can do anything in the age of 53, and at the time of appointment no was mentally prepared. So please this point may be review once again. I am not agree with the retirement policy .this is not a proper decession that if you are already of 33yrs in job you r retired even if your age is less than 58 yr.
OROP SHOULD BE GRANTED TO ALL GOVT EMPLOYEES AS PER THEIR DIFFERENT WORKING SITUATIONS AND THEIR SERVICE CONDITIONS. As of now no security organization should be kept outside of its ambit ie Armed forces including BSF CRPF RPF ITBP AND SO MANY OTHERS. Other thing armed forces should be given Pension as per BP AS of now Plus an equal rank allowance.